Like most products that are sold in a retail environment, the bottled products industry is a highly competitive one. Indeed, consumers these days can choose between many alternatives for each product sold in a bottle. As a company, it is therefore important that your company stands out from your competitors on store shelves. A great step to take to achieve this is to work with a bottle designer. In this article, we will give you x reasons why you should work with a bottle designer to create customized bottles for your products. As a company, you created a branding, a logo and a marketing campaign for your products. Your bottles’ design needs to be coherent with the strategy you chose with your team since what your customers will see on store shelves will be your bottles, not your ads so make sure that your bottle design sends the message you want to send to your customers. For example, if you sell a high end liquor and you want to communicate this to customers, make sure that your customized bottles looks great and feels like a luxurious product. Also, if you sell a product targeted to young people who like to party, make sure that it shows on your bottles. A great bottle designer will listen to your needs and work with you in order to create bottles that will fit with your products’ branding. Although it may not always be possible for shelf space or storage reasons, customized bottles that are of a different size than competitors’ can give you an edge in value (bigger format) and visibility (bigger bottle). Indeed, it will not only make you able to sell bigger product sizes, it can also contribute to attract customers to your products. For example, if you sell a nonprescription drug in drug stores, you probably have a couple competitors. By storing your product in a larger bottle, people will naturally be attracted to your product because if you think about it for a minute, when you walk down the aisle of your favorite grocery or drug store, to what are you attracted to, big packagings or small ones? Most people will notice bigger packagings and a bottle designer can help you take advantage of this. 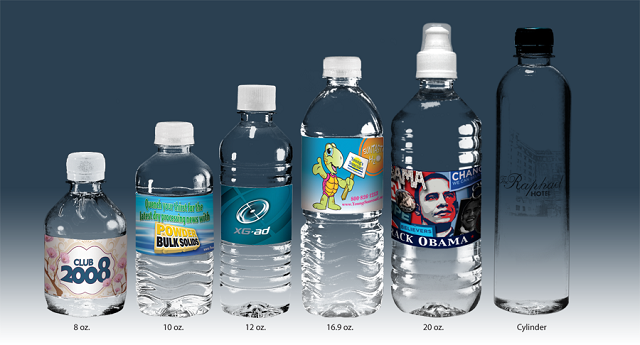 This concludes our article on why you should work with a bottle designer to create customized bottles for your products. We hope that reading it has helped you to understand the need to take time to choose the right bottles to store your products and how a bottle designer can contribute to your company’s success. If you are not sure about where to start with the design of your new bottles, call a bottle design expert near you to help you kick-start your project.